When I listen to a Beatles song, whatever the image in my mind’s eye is it always involves me playing and singing. I’m a musician so that might seem natural but I think this is pretty common—it’s what drives us to karaoke and air guitar, right? With the Beatles it’s always been particularly easy. When I was a boy, they were boyish. Now that I’m man, their music has long been a big part of the emotional language of love or loneliness. It sounds like every girl has a favorite Beatle, and I’m sure every guy has the Beatle that he knows deep down he is, like a secret Native American name. I used to have long hair and round glasses, and because of the shape of my face and my nose, people would always say how much I looked like John Lennon. I wouldn’t have let on then, but that was just fine. “If I fell,” “Girl,” “In My Life”? “It’s Only Love,” “Ticket to Ride,” “Julia”? I can see myself singing those. “From Me To You” was the A side of the early Beatles’ 4th single in 1963, and their first #1 single in the UK and they were still unknown in the US. Lennon and McCartney were boys when they wrote it in the back of a bus on their way between shows. This was one of the first times that George Martin made his present felt in the studio. It was his idea to have the lads sing the “"da da da da da dum dum da" bit on the intro. John, true to form, was not into it at first but Paul convinced him to try and George gained another layer of trust from the boys. The High pitched “Ooh” which was to become a trademark sound of The BeatlesV1.2 was in fact whole-heartedly stolen from the Isley Brothers. Check out the 1962 version of Twist and Shout by The The Brothers “I” and you’ll see what I mean. These early songs have so much boyish charm, but I don’t know that I’d ever really heard before now how much bluster there was from these boys who weren’t quite grown up yet. There’s a lot of schoolyard left in them and the declarations of love and the complaints are belted out for their mates as much as their girls—a boy who’s really just singing to a girl doesn’t play at the tempo of even their slowest songs from ‘62 and ‘63. They’re showing off, and all us boys get it. That’s why we so easily imagine ourselves right into their shoes. When one of our mates is showing of we just naturally want to show them up. Sophie Madeleine’s beautiful rendition of “From Me To You,” though, is like being with a girl when you first realize she’s more important than your boys. The beauty of a cover song is that another artist can take something familiar, something loaded with memories and things you’ve felt before, and turn it all inside out in a few short notes. Listening to Sophie Madeleine I don’t want to be the “me.” Who wouldn’t want to be the “you” when you hear that one little word sung by a voice like hers. In her recordings the lovely Miss Madeleine has devoted herself to this little guitar, and the way she plays tells you that the ukelele is just the thing when you want to pull a chair up close, right to knees of the one you love, and sing. The dreamy, layered ukuleles weave a cradle between sophistication and simplicity while, knee-to-knee with Sophie Madeleine, I’m glad to lean into the joys of being a grown-up. There are places more fun than the schoolyard or the back of a bus. But if you can be there and still strum your ukulele like child… well, we all hope for the best of both worlds. 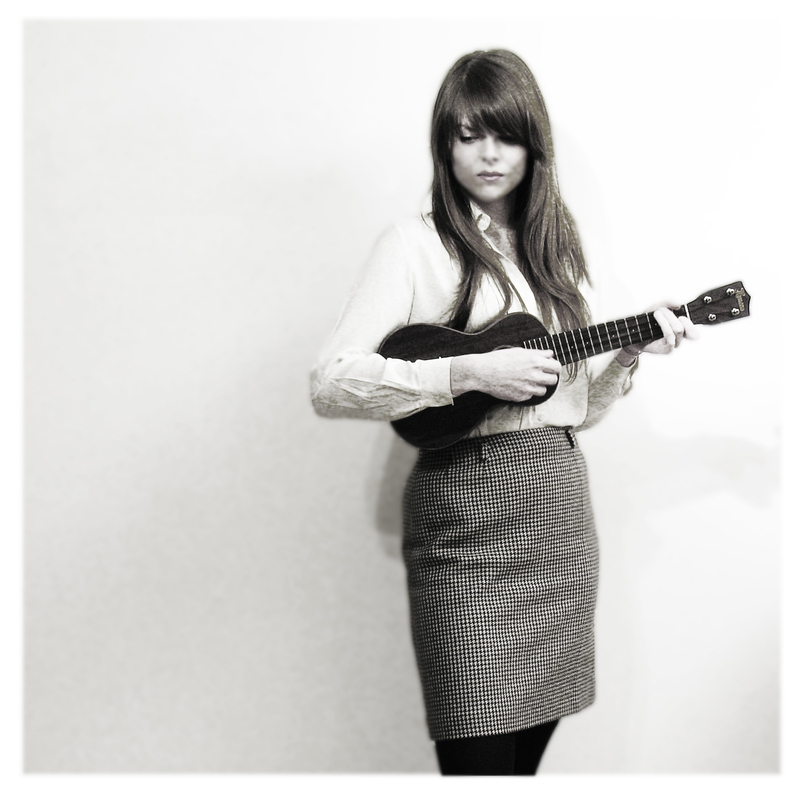 Armed with nothing but a smile, a ukulele, and a collection of beautifully crafted songs, Sophie Madeleine is fast conquering the musical world. With her debut independent release "Love.Life.Ukulele" exploding across the internet, she has gained fans on six out of seven continents (just missing Antarctica) and her videos have amassed over half a million hits on Youtube. she’s not only an elite songwriter, but a seasoned live act as well. Steeped in an inherited classicism (she had a music-lover for a father,) she absorbed the greats of the last century – from Cole Porter to Gershwin, Bacharach, Beatles and beyond. A real-life genuine master of song, Sophie has spent years honing her writing skills, eventually achieving a Masters degree in Songwriting in 2009.
somewhere between Lily Allen and Laura Marling. Whatever the association, there’s one thing everyone who’s encountered Sophie’s music can agree on – it’s something special. With her music now appearing as part of several national ad campaigns in the UK, Sophie’s star has only begun to rise. She is now touring to promote her eagerly awaited forthcoming album “The Rhythm You Started”.